Tango Fantástico's instruction in Argentine Tango is geared toward mastering the communication between leader and follower with an emphasis on improvisation that will allow flexibility in the dance. We will explore opportunities to adjust, adapt and modify moves in order to master continuous navigation across the dance floor with interest and imagination. 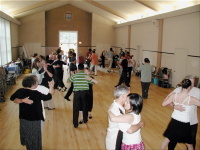 The Tango foundation must be strong to support the structure of the dance. 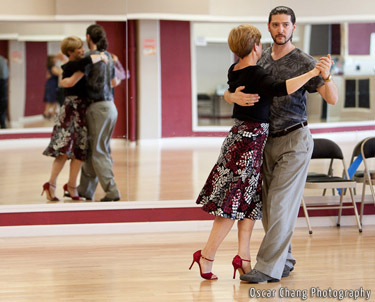 If you are new to Argentine Tango or a little sketchy on the basics this class will help to build your confidence and ability to enjoy dancing in a social setting. A solid foundation provides the skills to build an increasingly interesting dance. Increasing the complexity of your Argentine Tango involves the addition of dissociation and invasion. This hour will be focused on developing more advanced tango skills including specific timing, generating and surrendering to energy, artistic lines and musical expression. Pay-It-Forward: This program allows 'continuing dancers' to join the Fasttrack class at a reduced rate, to build a stronger tango community. Details in class.